Consider the revolution in agency-client-sales relationships: Before the use of digital platforms like CRM and marketing automation, most B2B marketing strategy was predicated on building brand awareness: Image-boosting, goodwill messaging and public relations to let buyers know, this is a brand to believe in. Brand marketers worked with their agencies to set up strategies each year. They selected the best messaging and product promotion strategies, set their sights on achieving a certain level of impressions, bought the media and hoped for the best. Next the phone was supposed to ring, putting sales on the hook for measurable increases in sales revenues. In most cases, salespeople never really knew what exactly turned the prospects into leads, which market segment they represented, how much information they had or even when they received it. By today’s standards, sales had to approach their calls cold. Fast-forward to today, and it has all changed. Agencies are also in the hot seat when it comes to identifying leads and increasing revenue. Marketing departments and their agencies can generate demand among specific segments of their markets and track the results down to the moment. 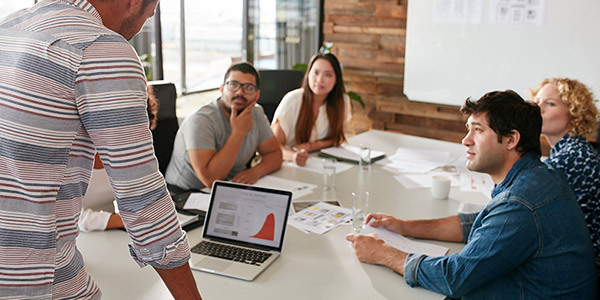 The resulting sales leads already possess an impressive amount of the product and brand information they need to make a buying decision when they connect with sales. Direct response tactics like paid search, premium gated content and email marketing allow brands to follow and understand each buyer’s path to their door. They can collect and analyze data about nearly every activity their prospects have taken before becoming a lead: Everything from the articles they’ve read, emails they opened, links clicked, others they didn’t, and what it was that induced them to raise their hands. Tools like marketing automation technologies capture this data and create spot-on databases of these prospects. Armed with this information, brands can quantify just how effective each activity was. And they can use it to hold agencies accountable for top-line business impact and ROI. Considering this new transparency, conversations between brands and their agencies happen at a steady clip. Neither party can afford to wait for the next monthly status call to report on results and their next plan of attack. Salespeople too, have a seat at the table. They need to access and understand this new data, because it can inform and empower sales efforts in ways not possible before. When sales reaches out to these new leads, they have the capability to understand where in the journey each buyer is. All that dynamic information, though, leaves traditional brand awareness campaigns in the dust. In light of the accountability they now have, brands may feel inclined to cut the older methods that don’t provide these provocative metrics. It’s a dangerous knee-jerk reaction, because it’s easy to forget the purpose of the brand image strategy when its value isn’t easy to quantify. While direct response tactics can convert measurable numbers of audience members in a way that brand image campaigns never could, they owe their success to strong brand awareness. Brand messaging is, after all, what gives buyers reason to believe in and respond to direct response efforts. If brands implement strategies to keep audiences focused on their purpose, credibility and relevance, prospects will be more likely to respond when presented with calls-to-action, like email forms or requests for contact details. But if these awareness tactics are slowed or stopped, prospects will quickly lose sight of those qualities. They will all but forget about the brand, and direct response numbers will drop. So the tactics work best when they’re used together. Agencies can help, by working with B2B brands to implement strategies both accountable for ROI and aimed at brand awareness. In this new environment, marketing strategies have to protect and defend the role of the brand, because it’s the foundation of demand in this data-driven world. Interested in getting started, contact us today.